I was watching an old episode of Good Eats one Sunday afternoon where Alton was pondering what exactly makes a dip, a dip. Most dips are typically sour cream based or cheese based. I know I’ve made my fair share of these recipes. Unfortunately I didn’t catch the part where Alton actually defines a dip, but it got me thinking about how I currently had a bunch of ingredients necessary to make a dip hanging out in the fridge. 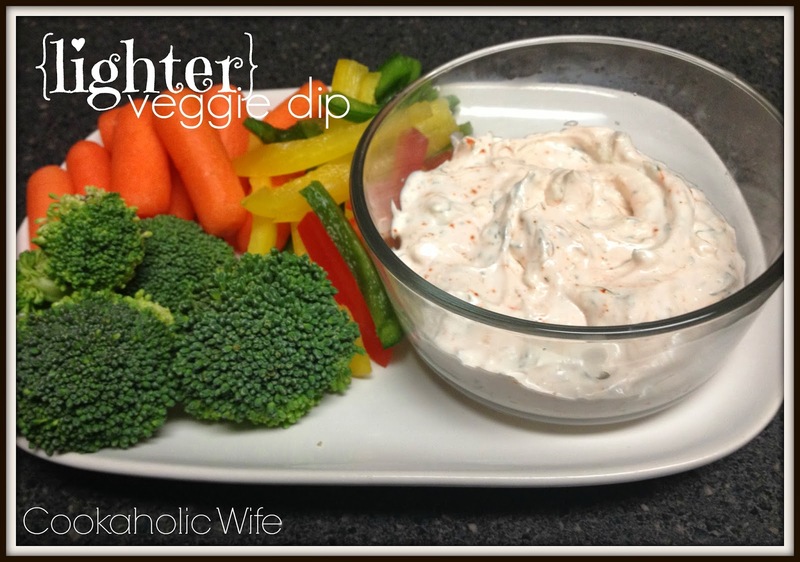 With no other plans for them, I set out to make a lighter veggie dip. 1. Whisk all ingredients together in a medium bowl until combined. Cover, and refrigerate for at least an hour before serving. The zesty seasoned salt was a random addition since I wanted to add some color to the dip and I’m really glad I went this route. 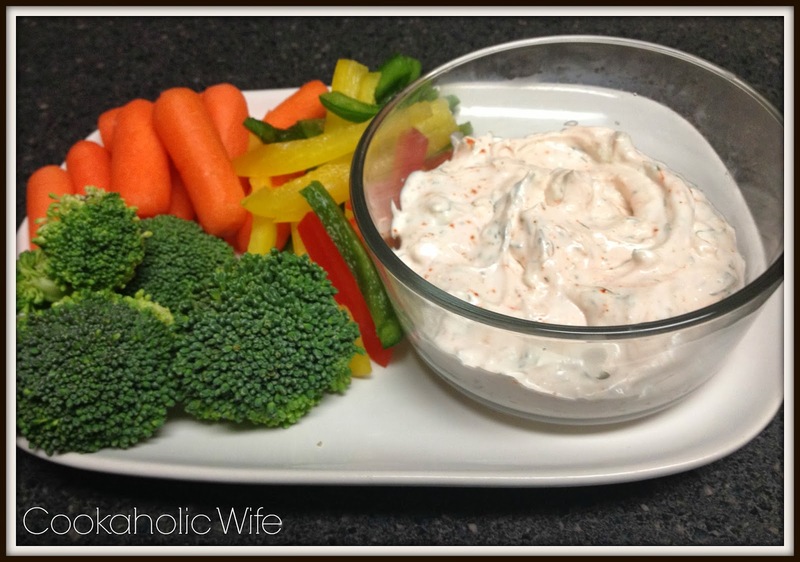 It provided just enough kick to a simple veggie dip. I enjoyed this with veggies throughout the week.